Need help going solar in North Carolina? If you live in North Carolina and are thinking about investing in rooftop solar, you are in the right place! In 2016, your state ranked number two for total solar capacity (behind California) by the Solar Energy Industries Association. 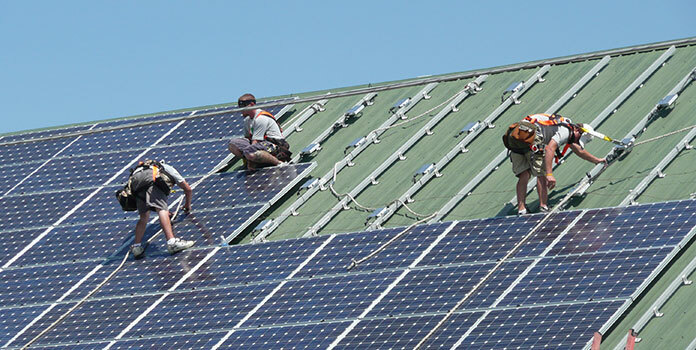 What’s more, it also ranks in the top ten states for solar jobs. You’ve got a lot of North Carolina solar companies to pick from, so we’ve made a list of the best installers to make your job easier. We focused on those who offer residential solar, cutting out those big industrial solar farms and companies serving only commercial clients. When choosing the best North Carolina solar companies, we looked at both the number of reviews as well as each company’s actual scores. For companies who had equal rankings, we gave preference to North Carolina-based companies over those out-of-state. If you want to see our list broken down by city, scroll down to the next section. Why they’re the best: A North Carolina company with a perfect 5-star rating, they also install solar hot water, solar attic fans, and other related equipment. This Raleigh-based company serves clients across the state, offering residential and commercial installations, solar pool heating, solar hot water, solar attic fans, and more. They are accredited by the North American Board of Certified Energy Practitioners (NABCEP), are a member of the American Solar Energy Society, and the NC Sustainable Energy Association. Why they’re the best: Large number of excellent reviews and offer energy storage as well! 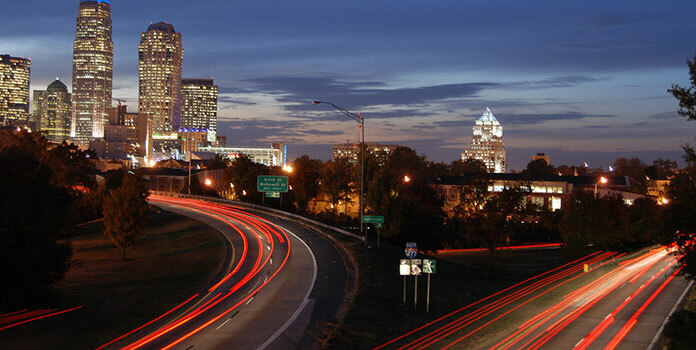 Renu Energy Solutions ranked number one in three of North Carolina’s largest cities: Charlotte, Greensboro, and Winston-Salem. This solar company provides services to both North and South Carolina, with offices in Charlotte and Jamestown. They receive consistently high ratings from satisfied customers. On solarreviews.com, Renu enjoys 30 5-star reviews and one 4-star review, giving them an excellent average of 4.97/5 stars. Renu Energy Solutions is also accredited by NABCEP. They offer both residential and commercial solar, as well as a host of supporting services like energy storage and energy monitoring. Why they’re the best: They’ve completed hundreds of projects and install solar storage and electric vehicle charging equipment. Yes Solar Solutions offers solar services across dozens of counties in North and South Carolina. They have completed more than 800 installations, offering both residential and commercial solar, as well as solar storage and EV charging. They also works with NGOs and governmental bodies to help them reach sustainability and clean energy objectives. They are accredited by NABCEP, and while Yes Solar Solutions has only 3 reviews on solarreviews.com, they are all 5-stars. Alternatively, they have a few comments on Yelp, both of which rave about the installer! Why they’re the best: Green State Power has installed solar for 10 years, much longer than many solar companies out there. Green State Power serves over two dozens counties within the state of North Carolina and is based out of Greensboro. Installing solar for 10 years, they started as an installer for residential PV systems before expanding to serve commercial customers as well. Formerly known as “SolarDyne”, they changed their name in 2012. Besides being NABCEP accredited, the company has a 5-star rating on solarreviews.com, through 3 reviews from their customers. 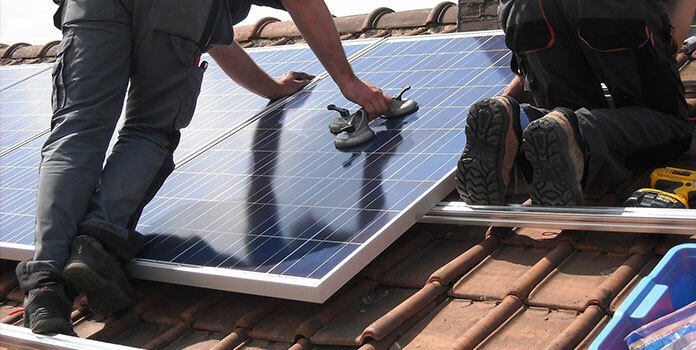 In terms of services, the company offers “turnkey solar services” including analysis, system design, installation, rebate assistance, and system monitoring of PV installations. Why they’re the best: With 10 years installing residential, commercial, and agricultural solar, Renewable Energy Design Group has probably seen every difficult install and situation out there. Renewable Energy Design Group is a Carolina company, offering services to both North and South Carolina customers through residential, commercial, and agricultural solar electricity. They also offer services in solar hot water (thermal), energy audits, storage, and energy monitoring. They have been around for ten years and are accredited by the NABCEP. Why they’re the best: Along with great reviews in general, customers specifically report excellent long-term service with Accelerate Solar – sometimes a rarity in the solar industry. While this company only operates within four North Carolinian counties (Cabarrus, Gaston, Mecklenburg, and Union), this Charlotte-based company has received a 5-star rating on solarreviews.com, based on 5 reviews. The company is accredited by the North American Board of Certified Energy Practitioners (NABCEP) and is a member of the Solar Energy Industries Association. Accelerate Solar offers both residential and commercial solar electric systems. Why they’re the best: With over 70 5-star reviews, you can’t go wrong! And they install solar shingles as well. While Sun Dollar Energy only serves five counties in North Carolina (Chatham, Johnston, Lee, Orange, and Wake), this Raleigh-based company has stellar reviews from those who have used its services. On solarreviews.com, all 17 reviews are 5-stars. On Google+ , it has 55 reviews, all of which are 5-star ratings. In terms of services, they offer both on-grid and off-grid PV systems with battery backup, as well as solar shingles. They are NABCEP certified and includes a 25-year warranty on their solar panels and a 10- to 25-year warranty on their inverters. Why they’re the best: Great reviews and installs solar thermal, solar lighting, and solar pumps as well. Though Alternative Energy Concepts only has 16 reviews on solarreviews.com, every single one is a 5-star rating. The company, who serves six counties throughout North Carolina (Craven, Cumberland, Guilford, New Hanover, and Wake), is NABCEP Certified and offers a range of services from solar photovoltaics and solar pumping to solar thermal and solar lighting. Why they’re the best: They are the only installer on our list that specializes in off-grid and emergency back-up systems. P.E.G. Solutions is based out of Ashland, Virginia, but serve a host of counties throughout North and South Carolina. Highly dispersed throughout the state, they made the top 5 list in 4 out of 5 cities on our list, save the Raleigh area. They’ve got just 5 reviews on solarreviews.com, the most recent of which was less than positive with 2 out of 5 stars. That leaves the company with an average score of 4.4/5-stars. They specialize mainly in off-the-grid and long-term emergency backup power applications, offering residential and specialty solar for buildings like farms, homesteads, and hunting cabins. According to solarreviews.com, they are also install wind turbines and energy storage. With six years in the business, they have successfully installed over 6,200 solar panels (equal to about 300 installations) and more than 100 off-grid installations. They are also accredited by NABCEP. Why they’re the best: The most reviews of any installer on the list – and they’re all excellent. Blue Raven Solar is not based out of the South but operates out of Utah. However, it has extremely high reviews and is certified by NABCEP, which is why it topped the list in the Durham area. In fact, the company serves more than a dozen different counties across North Carolina. In terms of services, Blue Raven Solar offers residential solar electric and energy monitoring. The company not only works in spreading green energy and bolstering the renewable market, but they also support US suppliers. Sounds like an overall win. Why they’re the best: A fast-growing NC company that installs solar as well as roofs. This North Carolina-based solar company runs out of Mooresville and serves the majority of counties throughout the state. They also cover Michigan, Virginia, and South Carolina. Specializing in solar energy and roofing services for residents as well as commercial buildings, the company ranked the 96th fastest growing company in 2017, and became an Inc. 500 Company after for only two years in business. According to their homepage, the company has more than 6,000 5-star reviews online. However, on solarreviews.com, they have an overall rating of 4.43/5 stars thanks to six 5-star reviews and one very unsatisfied customer who left a 1/5 star rating. What Cities Do These Installers Work In? 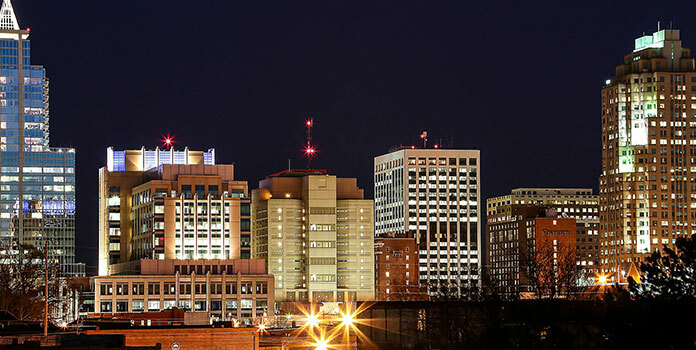 Here’s out list of the top solar companies working in the 5 biggest cities in North Carolina. If you look closely, you’ll notice that some companies, like Renu Energy Solutions and Blue Raven Solar, make our list in multiple cities. Green Solar Technologies is a full service solar panel company operating in 20 different states across America. Within North Carolina, their presence is small but highly regarded, operating in just one county — Cherokee County. On solarreviews.com, they enjoy an average of 4.76/5-star rating from 126 reviews. When it comes to different services offered, the company supplies both residential and commercial solar electric, energy audits, storage, and energy monitoring. Located in the southeastern coast of North Carolina, Cape Fear Solar Systems operates out of Wilmington and serves Brunswick, Duplin, New Hanover, and Pender counties. The company is NABCEP accredited, and while they only have 10 reviews on solarreviews.com, all are 5-stars. They offer several services, from residential and commercial solar electric to solar hot water heaters (thermal), solar pool heating, energy storage and energy monitoring. Cape Fear Solar Systems can even install Tesla charging stations for both residential and commercial customers. Now You’ve Got the Facts, Go For It! We hope you’ve found this list of top solar installers in North Carolina useful! As a reminder, the 30 percent federal tax credit on renewable energy has been extended through 2019. So, if you’re thinking about pulling the trigger, this is the right year to do it! After that, the credit will decrease to 26 percent in 2020, 22 percent in 2021, and 10 percent from then on for non-residential and third-party owned residential, or zero percent for regular residential. As an additional note, a proposal by Duke Energy Carolinas and Duke Energy Progress for a solar rebate program worth $62 million has received approval from state energy regulators. That means North Carolina residents who work with Duke Energy Carolinas or Duke Energy Progress as their utility can qualify for a rebate of 60 cents on every watt of solar power, delivered in the form of a check back to the customer. 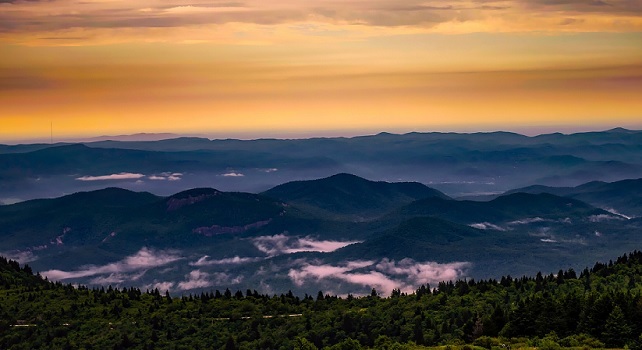 At the time of writing, in April 2018, the program is still being finalized, but undoubtedly will benefit future owners of solar power in the great state of North Carolina – so get on it! • How Can I Find Solar Providers Near Me? Have you installed solar in North Carolina? Tell us about your installer and your experience in the comments below!